Clinical supervision has been an aspect of nursing practice in various forms for several years; however, it remains challenging to ensure its widespread implementation across healthcare organisations. 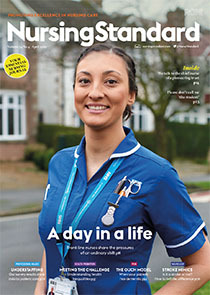 There is an increasingly evident need for formalised support in nurses’ busy practice settings, so it is important to improve the quality of clinical supervision in healthcare. This will also assist nurses in providing evidence of their continuing professional development as part of revalidation. This article provides an overview of clinical supervision, outlining its features and functions in healthcare practice. It includes three case studies related to group clinical supervision, discussing how this was implemented in each case and the various methods of group-working that were used.